R&B maverick Lucky Daye, has released I – a collection of the first five songs from his forthcoming full-length debut album, Painted – set for release later this year via Keep Cool/RCA Records and Sony Music Entertainment Australia. Click here to listen. 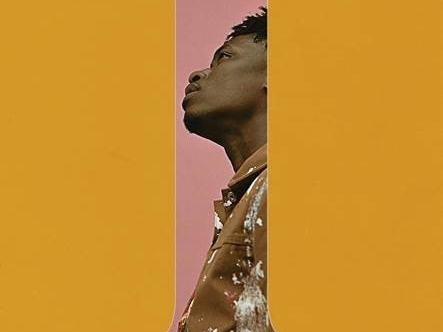 In addition, Lucky Daye has shared the music video for the first single 'Roll Some Mo'. Directed by The Child. the incredible visual first premiered via The Fader. Click here to watch. Just last month, Lucky made his formal introduction with 'Roll Some Mo'. In under two weeks, it clocked nearly 1 million streams worldwide, garnered widespread praise and was featured on Spotify's "New Music Friday" playlist and Apple Music's "Best Of The Week" playlist upon release. Among such acclaim, Pigeons and Planes described Lucky is "crafting a vibrant take on R&B with live instrumentation and vibrant melodies." DJ Booth touted it one of "10 Songs You Need This Week," and HipHopDX wrote, "The first single, 'Roll Some Mo,' finds a sultry smooth melody carving out atmospheric lyrics that highlight the pure side of R&B." Meanwhile, YouKnowIGotSoul put it best stating "The stunning vocals, nostalgic production, and dynamic instrumentation make this one of the best songs we've heard so far this year." I confidently sets the stage for Painted" executive produced by collaborator D'Mile. These initial five tracks welcome listeners into Lucky's world. Born and raised in New Orleans, he spent his formative years in a religious cult"of which his mother was a member. Barred from any and all "secular music," he taught himself melodies by singing Bible verses and Dr. Seuss rhymes. Once mum fled the cult, life quieted until Hurricane Katrina hit and literally washed life as he knew it away. The family fled to Tyler, TX, but Lucky aimed to launch a career in music. He made his way to Atlanta, where he spent some time recording before seeking a brighter future in music and road tripping to LA. Once there, he met D'Mile and crafted Painted, which takes you through a journey of Lucky's life experiences. Released under Keep Cool, RCA Records and Sony Music Entertainment Australia, Lucky's story unfolds by way of the smoky full-spectrum R&B on the record. With the release of PAINTED, Lucky enters the music world with a powerful debut, leaving his footprint and fortifying the groundwork to become the next rising star in R&B.